Fearless Records alternative-rock band Movements have released their debut album ‘Feel Something' that was released on October 20th, 2017. Along with the release of the bands new debut album ‘Feel Something’ the band have also released their new single ‘Colorblind’, watch the video here. "’Colorblind' is one of the songs from ‘Feel Something’ that we felt best embodied the progression of our music," lead-singer Patrick Miranda tells Billboard. "We wanted the first new song everyone heard to be a heavy hitting banger that would really hit the ground running, and set a tone for the rest of the record." Produced by the highly-acclaimed Will Yip (Tigers Jaw, Balance and Composure, Title Fight), the 11-track album serves as the follow-up to the band's successful ‘Outgrown Things’ EP released in March of 2016. 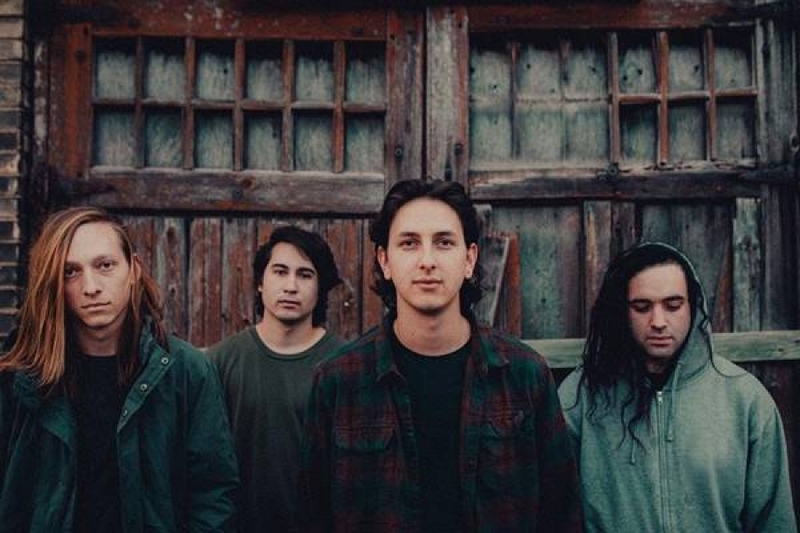 Movements consists of Patrick Miranda (Vocals), Ira George (Guitar), Austin Cressey (Bass), and Spencer York (Drums). Movements have released a cracking record as their debut full length! ‘Feel Something’ has a very stripped back sound from the outfit, yet it has an immensely powerful sound. The band showcases a number of sides to the band for example, ‘Deadly Dull’ shows the subtlety of the bands writing while still giving the song a heartfelt sound, whereas, ‘Under The Gun’ brings with it pure raw passion and power. One of the strongest elements of Movements record is the lyrics. Lyrically this is a very strong release from the band with their emotive and emotional lyrics, it’s a record you will have on repeat as you fall more in love with the album. The vocals are also another standout point for this record with their raw and emotional sound. Movement are definitely making themselves a force to be reckoned with, with this record!